Good dolphin news for a change. Jedol will be released back into the ocean. “It is not only a matter of one dolphin going home but a matter of the relationship between animals and humans, between Mother Nature and humans,” Seoul mayor Park Won-Woon said. He has got it in a nutshell. 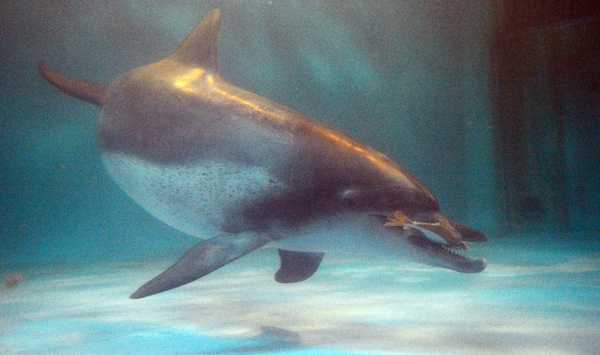 The release of Jedol is about so much more than one released dolphin. It is a symbol of respect, compassion and a shift in human consciousness about their relation to animals and nature. it also shows what can be done, that it is possible to send dolphins home. This entry was posted in Uncategorized and tagged dolphin. Bookmark the permalink.